In 1948, when he was 10 years old, A. Bartlett Giamatti visited Fenway Park in his hometown of Boston for the first time. Like so many young boys on their ballpark baptismals, he was accompanied by his father. And now Las Vegas has a baseball place like that. It has yet to bear witness to a first pitch. It’s going to be a while before the sweet aromas of hot dogs, beer, mustard, relish and pickles become embedded in its concrete. So it may not be appropriate to compare Las Vegas Ballpark to the Pyramid at Giza. Or even the pyramid at Luxor. But at long last it’s here, built on a dream and a vision and four magnificent levels on 7.65 acres in Downtown Summerlin. 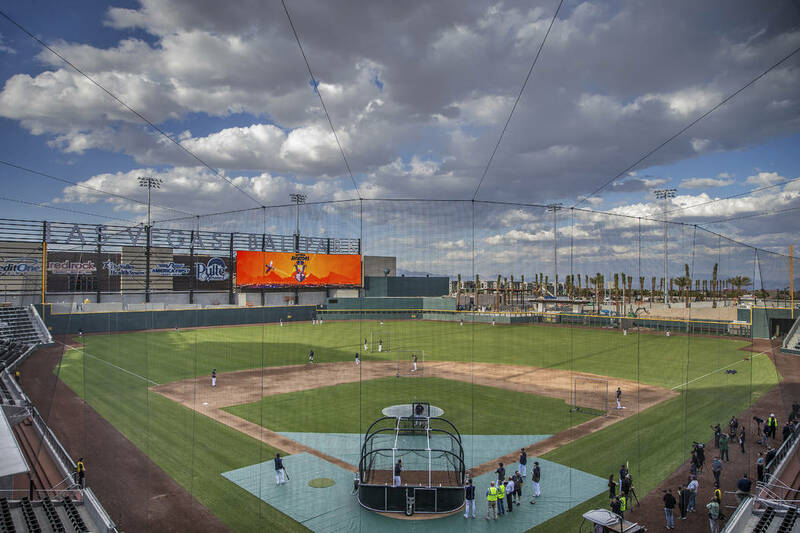 The amenities of Las Vegas Ballpark, this mini-Camden Yards carved from desert granite, are almost too many to mention on a scorecard. More than 8,000 seats will be installed in the lower-tier bowls, suites and party zones. In both outfield corner sections, the seats will swivel 360 degrees with a front beverage railing. Surface-level temperature readings taken last summer in the Atlanta Braves’ new SunTrust Park, where 3,000 mesh seats were installed, showed a 30- to 50-degree temperature reduction from traditional vinyl seats. For the well-connected, there is premium seating in 22 suites. 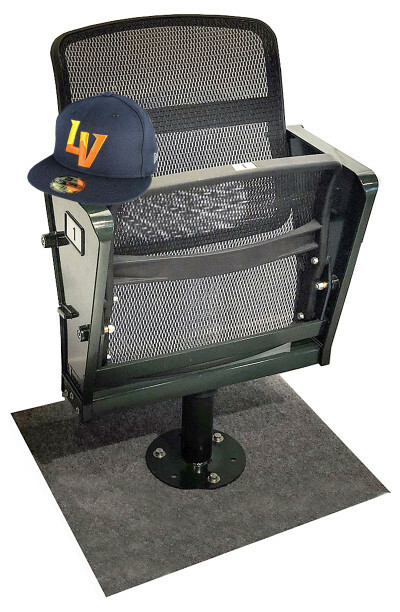 For the real baseball fans in the grandstands, there are state-of-the-art mesh chairback seats. A party deck, an outfield bar, a picnic area, a play area for the kids. There is even a swimming pool beyond the right-field power alley. For the players, there are climate-controlled batting cages and a clubhouse better appointed than Ricardo Montalban’s Chrysler Cordoba. And plumbing that won’t explode when somebody flushes the toilet behind the first-base dugout, which happened at Cashman Field when the Aviators were called the 51s. The total cost was $150 million. The official groundbreaking was Feb. 13, 2018. It took fewer than 14 months to unearth an emerald jewel from behind the Golden Knights’ hockey practice arena. But it also took nearly 15 years of negotiating before the earth movers arrived. 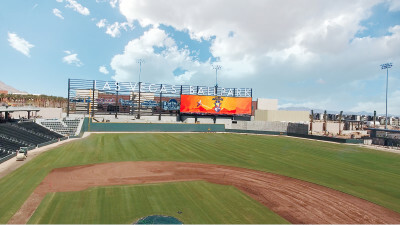 Aviators president Don Logan said he had been making overtures about a new Las Vegas ballpark since 2004. But like Casey at the Bat, it appeared he was destined to go down swinging. Located on the first and third base sides. Suites: Include television, hosted bar and catering. 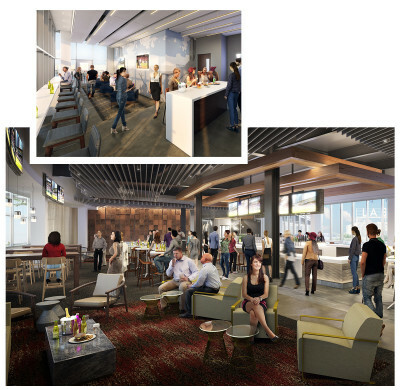 Club level: Includes private entrance, private restrooms, and upgraded food and beverages. When major league sports arrived in Las Vegas, the idea of building a new minor league ballpark seemed headed to the bottom of the order. Local baseball fans had all but given up on the idea there ever would be one. “It took Hughes (Corporation) to own it, and you had to have a place to build it. I think that’s the best place in the valley to build a stadium,” Logan said about the swanky Downtown Summerlin location. A week before Opening Night, the Aviators had media day at the new ballpark. An event that usually draws a handful of reporters attracted a virtual battalion. They were not there to discuss the Fresno Grizzlies or the El Paso Chihuahuas. They were there to see the ballpark. This is a 360 video. Click the video and move around your mouse to see more of the stadium. 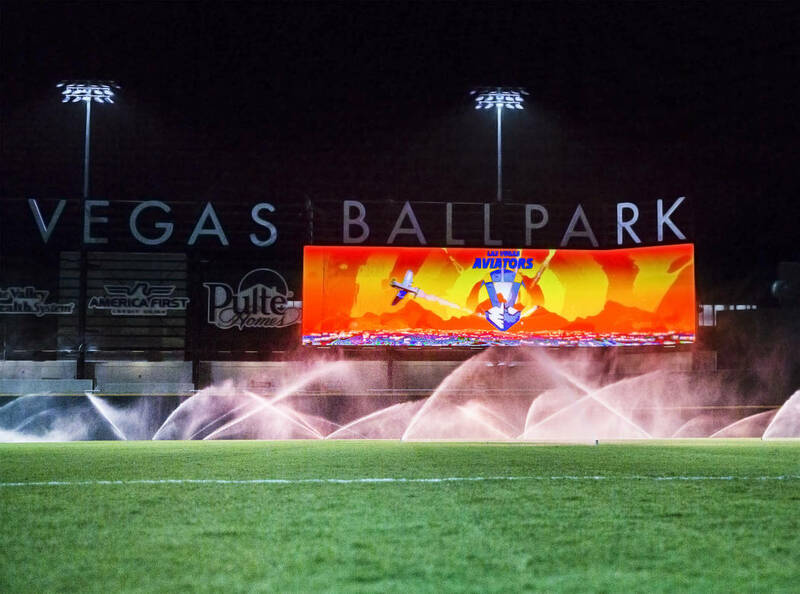 In a few days, there would be 10,000 baseball fans filing under the LAS VEGAS BALLPARK portal at the main gate. A local dignitary, somebody with fat pockets or a baseball man would be throwing out the first pitch. The sweet aromas of hot dogs, beer, mustard, relish and pickles would be wafting down the spacious concourse. A wide-eyed youngster would be holding his father’s hand after peanuts and Cracker Jack. Like A. Bartlett Giamatti, he would probably come to regard every other place he has ever been as inconsequential. And he would think being at Las Vegas Ballpark is better than being at the Pyramid at Giza, and even the pyramid at Luxor.